Please pray for the Millennial Generation, born from 1980-2000. Gather as many people as possible to pray with you. 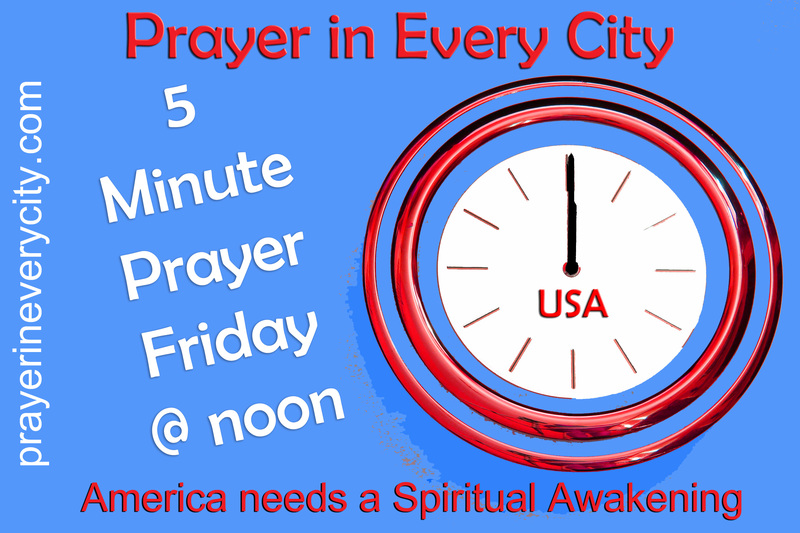 At noon today, no matter what time zone you live in, stop what you are doing a doing and pray for at least 5 Minutes for Revival and Spiritual Awakening for America. All participants should visit my blog http://prayerineverycity.com and click on the “5 Minute Prayer Friday” post so we can see how many people have prayed. Set up an alarm on your cell phone, if you have one, which will go off every Friday at noon. I have an android and use the app called “Clock”. Help me spread the word about “5 Minute Prayer Friday” by printing the free business cards below and giving them to your friends. Pray that Christian teens and twenty-somethings will not be conformed to the world. “Do not be conformed to this world, but be transformed by the renewing of your mind, that you may prove what is that good and acceptable and perfect will of God” Romans 12:2 (NKJV). Ask the Lord to send godly, bold Christians to tell this lost generation about Christ. Pray the Lord will open up the eyes and ears of the lost so they can understand the Scriptures. “He opened their understanding, that they might comprehend the Scriptures” Luke 24:44-45 (NKJV). (1) Rainer, Thom. I Am A Church Member. Nashville: B&H Publishing Group, 2013, p. 5.